Comment : Watercolours+colour pencils on wood with gesso . Actually a present for yoochun if i get the chance to give it to him this week . Hi again! looks like i have been more active lately :D My creative illustration classes started n ot long ago and my drawing drive is back, also there are some job offers knocking on my door i am very thrilled atm :D.
Already got my choice for the Dbsk_bigbang ( which is a secret) and i hope to do well, haven't read the fic yet( hadn't sent it to me yet XD) but i am pretty excited nonetheless. So this picture is actually for Yoochun since they are here in BCN8 i go to see Jae and junsu real close on the airport and later Jae because i got to be next to their huge hammer(lol) limousine). Didn't get the chance to see yoochun tho since he came a day later but oh well. I drew this to( hypothetically) give it to him in person or well, make it get to him in some way( since jaejoong already has one of my pictures at home <3). The wood had some imperfections, it's funny how it looks like Yoochun has a huge scar over his eye XD, pirate chun, i like how it came out tho, becasue chun is REALLY REALLY hard to draw and he is half recognozible XDD. Wow, this is really gorgeous, Kiwi yah! I hope you do get the chance to give it to him!!! Was Jaejoong's picture done in the same style? 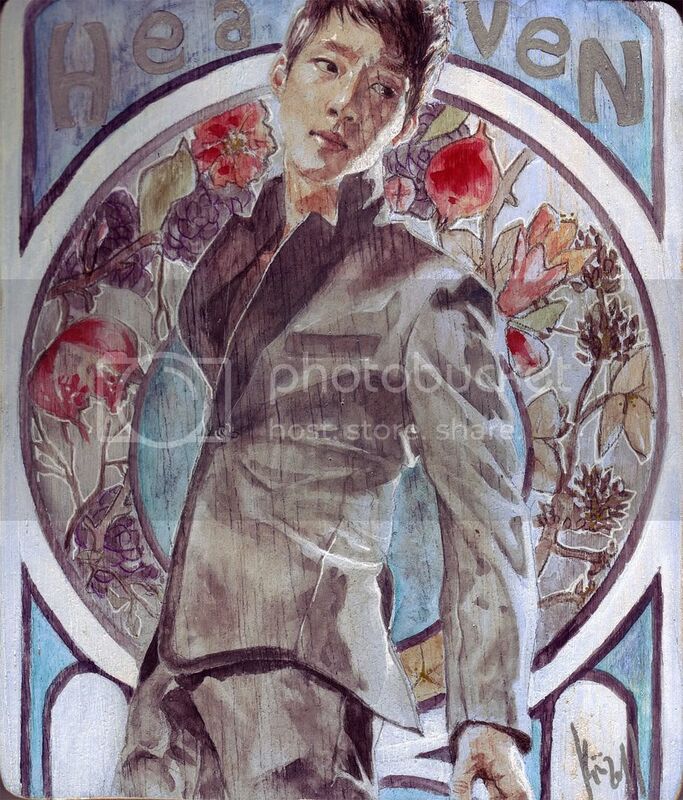 jae's picture does not have a gesso base( which yoochun's has, and it's a baby blueish one) it was done on plain wood :) taht's the main difference. Wowww. This is really, really good. Thank you for sharing! I hope you manage to get it to him somehow. Btw, which picture of yours does Jae have? 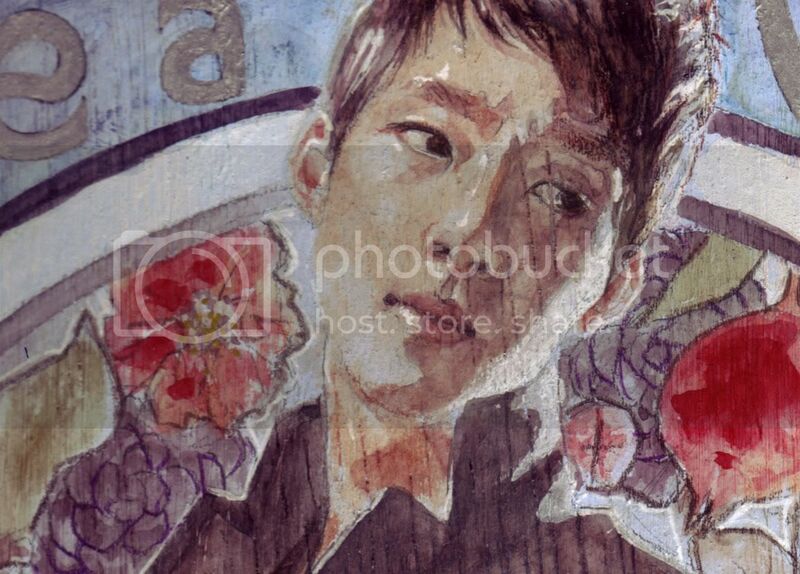 And it DOES look like Yoochun :) Hopefully you can give it to him! Omg that is freaking amazingly gorgeous!! I hope you can give it to Yoochun, it's so lovely!! I can't wait to see your work for the dbsk_bigbang! sad I had to drop out. I am also assuming you're going to the concert. I was with her yes XDDDDD and yup, i am goign to the concert. oh it's ok, dont' worry :) i am glad you liek it! and lol well i will try! GENIA. etc, ya sabes todas mis palabras de uso diario. pero no, posta. ME COPA. me encanta, todo. sos idola TT superlloro de la emocion. Wah! you are the best! This is beautiful! How did you feel workin with gesso on wood? :D which method would you prefer more (with/without gesso)? Your coloring is great!!!! So jealous!! ;) more please~~! thanks!! and i hope s too. This page was loaded Apr 26th 2019, 6:44 am GMT.